"We need to widen the circle." "We need a more holistic perspective." "We need to protect ourselves from a new elitism." These were among the closing comments from two of the historic leaders in the movement for interprofessional education/care (IPE/C) in the US near the end of the August 29-30, 2012 Institute of Medicine (IOM) workshop called Educating for Practice: Improving Health by Linking Education to Practice Using Interprofessional Education. The participants in the 1.5 day event consisted of a group that Association of American Medical Colleges (AAMC) president emeritus Jordan Cohen MD has called the most diverse mix of disciplines and interests ever convened through the IOM. Jordan and nurse-educator Afaf Meleis, PhD, DrPS (Hon), FAAN, co-chair the convening project, the IOM Global Forum on Innovation in Health Professional Education. The 31 sponsor organizations, listed on the right side of this page, range from the AAMC to similar organizations from such fields as nursing, social work, physical therapy, family medicine, and allied health. Included relative to integrative health is the Academic Consortium Consortium for Complementary and Alternative Health Care (ACCAHC). This is the first of six such Global Forum workshops planned before the end of 2014. The work advances the vision of IOM president Harvey Fineberg, MD's "to gather leaders in various fields and encourage discussion." Under the Affordable Care Act and emerging payment methods meant to better care and contain costs, IPE/C has emerged as a critical reform strategy. A report touching on diverse critical inputs to the meeting is here. Comment: The present IPE/C movement broke first as en effort to get medical doctors and nurses to have better respect for each other and smoother collaboration. To Err is Human has shown that awful doses of morbidity and mortality come from professions being educated in silos and operating antagonistically. Discussion at the workshop, which I attended as ACCAHC's alternate member, included significant focus on the centrality of the patient, his or her family and community. This is especially with chronic conditions in the outpatient environment. Discussion returned frequently also to the importance of social justice as a core value across all disciplines. Phenomenal experience to have been there and look forward to the others. Feels like we might actually be changing something. The title of the Huffington Post blog piece by Mark Hyman, MD is Money, Politics and Health Care: A Disease Creation Economy. He offers a whole system perspective that provides a case statement and then a series of prescriptions. The political economic context that is behind the system's "disease creation" includes the Citizens United decision that allows even more corporate and oligarchic manipulation of politics. Hyman also touches on such issues as food policy, energy policy ("clean coal") and sustainability. Hyman includes a section on the "perverse incentives" in our payment system. Then, to the prescriptive: Hyman offers a score of suggestions for "Supporting Innovations that Create Health." And then in "Creating Health: Getting Money Out of Politics," he ticks off specific "strategies that could have the biggest impact on cost and outcomes." Walsh: But what are the action steps? Comment from Integrator adviser Taylor Walsh: Mark's "Disease-Creation Economy" is a near-manifesto. But it reminds me of the 2009 [IOM Integrative Medicine] Summit: it has nowhere to go and no one to take it there (unless HuffPo has something surreptitious in mind). The following is instructive. (Hyman wrote) "During the health reform process in Washington, D.C., a group of three doctors (Dean Ornish, Michael Roizen and myself) were asked what organization we represented. We replied simply that we didn't represent anyone except the patients or anything but the science. They accepted it, but looked perplexed." Indeed. But this will never do, not in front of a Senate committee where people come to plead for things, and where the Paladin of IM was no doubt waiting for something specific. It is like "representing" the audiences on the Dr. Oz show or on Mark's PBS "The Blood Sugar Solution" presentation. The Integrative Healthcare Policy Consortium (IHPC), which changed its name in August 2012 from Integrated Healthcare Policy Consortium, has filed an early IHPC Annual Progress Report 2012. Among chief accomplishments were three Congressional Briefings at which "attendance has steadily grown." IHPC says it has presently reached some 200 legislative aides and staffers via the briefings. These are held on the Hill. The organization is led by new executive director Alyssa Wostrel and chaired by integrative medicine clinician and educator Len Wisneski, MD. It presently has 14 Partners for Health. The alphabet soup of IHPC's Partners is: AAAOM, NMSA, ICPA, AMSA, AAPM, NCBTMB, AANP, NACPM, AIH, NCH, Palmer College, and Bastyr and Life Universities. Dues from these organizations produce the lion's share of their meager budget, anticipated at $50,000 in 2012. Wostrel is shooting to bring that up to $150,000 with project funds for 2013. Another key accomplishment was publication of a policy document produced in collaboration with Palmer College and The Institute for Integrative Health: Affordable Care and Beyond: A Stakeholder Conference on Integrated Health Care Report. Wostrel is leading an effort to energize working groups from that conference to move the recommendations. In addition, IHPC is in dialogue with former Washington State Insurance Commissioner Deborah Seen about coming on as a lobbyist "in advancing the regulatory implementation of key integrative health care provisions of the ACA." Other changes are a new IHPC Policy Council plus a "strategic alliance with the American Sustainable Business Council." An intriguing new direction is what IHPC is calling a Scope of Practice Summit. The goal would be to "bring representatives (both national and state leaders) of the licensed CAM disciplines together to explore the potential for a stronger state legislative alliance/strategy." This is positioned as an effort to "offset AMA’s SOPP and Resolution 814 activities, which are in full swing." The IHPC plan asks: "Can we achieve greater outcomes for all of the disciplines we represent by forging agreements and establishing clarity at the state level-and therefore gain more federal ground by using our human and other resources to accelerate focus and intensity on federal advances?" Comment: Ask not what IHPC is doing for you. Ask what you can do for IHPC. It's a critical force, with no "competition" as a policy and lobbying consortium. IHPC does a lot, obviously, on next to nothing. My how the "integrative health community" limits itself through lack of collaboration. Imagine if you, any organizations with which you are affiliated, a spare visionary philanthropist or two, maybe some far-thinking companies, and others, funded this work? The substantive sections relative to the first two categories are here. Comment: It would be interesting to see the Prevention" category in particular parsed into those that are related to provider interventions (immunization, testing) and those connected to the lifestyle interventions humans can make to better their own health - which can be supported by integrative health practitioners. The health promotion and wellness uses would similarly fall into distinct categories (employer-related, community-related, etc.). Comment: Chiropractors, and especially those in California, were the foundation of this company; despite that, the DCs' antagonism toward many of DeVries business strategies, including pricing, is profound. But after the chiro start, De Vries' ASH team has continued to make a series of smart, expansive investments into health promotion and wellness. The South Carolina move reflects this: a university affiliation in a growing business sector in a cheap-labor state. If the game is about dying with the most things, you have to credit DeVries' vision and business acumen. Imagine an era in which, at a remote site, a handful of healthcare professionals gaze at walls banked with monitors. These don't merely peer into a single facility. They watch a group of facilities and many sites within each of the hospitals and outpatient clinics. Those monitoring don't only peer in. They can directly pipe in, with clinical and management suggestions. And they do. As influential medical reporter and policy leader Atul Gawande reports, such an offsite monitoring and intervention strategy is presently utilized in particular by the growing, for-profit hospital chains. These may be owned by investment banks or traded on Wall Street. In Can Hospital Chains Improve the Medical Industry, Gawande walks into the pros and cons of this form of healthcare management. He first describes how such practices are used by large corporations to manage a restaurant chain. He focuses on the Cheesecake Factory then enters a hospital chain centered in the Boston area. Gawande reports a conversation with one doctor: "This is not at all the normal way of doing things in medicine. (‘You're scaring me,' [the doctor] said, when I told him.) But it's exactly what the new health-care chains are now hoping to do on a mass scale. They want to create Cheesecake Factories for health care." Comment: This is a scary read - and a good reason why so many Integrator readers are repulsed by my support of the Affordable Care Act (ACA). In many ways, the ACA is pushing this direction as a correction to the utterly out of control business practices in the $2.8-trillion so-called "not-for-profit" medical industry. Did it have to come to this? No. Leaders throughout medicine have known they are missing the collective, population-based, preventive point of good care. And they looked the other way. The continue, as IBM healthcare leader Paul Grundy, MD, MPH notes here, to be "milking machines." The uncomfortable truth is, we are likely to save lives, reduce waste, limit errors, and more often do the right thing when the offsite Borg that Gawande describes has the opportunity to monitor and influence the warm bodies in the room with the patient. Sigh. For the 8th consecutive year, herbal supplement sales have increased according to Austin, Texas-based American Botanical Council (ABC). The annual market report of a team led by ABC president Mark Blumenthal estimated total 2011 retail sales at nearly $5.3 billion. The mainstream market, such as drugstores, increased roughly 3% over 2010. Sales in natural food stores rose by 5.5%. Concluded Blumenthal: "These sales data indicate continued strong consumer demand for herbs and other natural plant-derived ingredients as an essential part of their self-care." He added: "What is even more remarkable is that herbal supplement sales grew while the economy is still considered in recession, a sign of how highly American consumers value these safe, low-cost materials." A third channel, "direct sales," reflects sales via professionals, multilevel marketing, mail order catalogs, Internet sites, radio and television direct sales outlets, network marketing firms that sell directly to the consumer. This channel represented roughly half of all sales and was up 4.4%. The ABC report is based on statistics from the Nutrition Business Journal (NBJ) and market research firms SymphonyIRI, and SPINSscan Natural. These notes are from Google Alerts on selected topics during August 2012. The Wellness Team at Cleveland Clinic write on the "start of something good" through their integrative medicine consult program. The book by Alliance Institute's integrative medicine team Steve Amoils, MD and Sandy Amoils, Get Well, Stay Well: Optimal Health Through Transformational Medicine gets a positive review from a skeptic in Health Care, Not Sick Care. The Society of Integrative Oncology's 2012 program in conjunction with the University of new Mexico IM program is featured in this release. An article on the successful establishment of a community based integrative clinic is here. The integrative medicine program at u Kansas led by Jeanne Drisko, MD received some positive media treatment focusing on food as medicine. The program for pediatric integrative medicine pediatric nephrologist Matthew Hand, MD at New Hampshire's Hospital for Children, Manchester, was written up in the Union Leader then spread widely via the homeopathy network. A Johns Hopkins website features a resource on CAM practitioners websites. Testing for BPA and potential toxicity at the Greenwich Hospital integrative medicine program is the focus of this piece by Henri Roca, MD. Paula O'Neal, MD, co-director of The Division of Integrative Medicine at New Jersey's Raritan Bay Medical Center, highlighted how the department couples traditional western medicine with alternative therapies such as acupuncture on a recent radio show. University Hospitals Connor Integrative Medicine Center in Ohio advertised a life-coaching program on its site. Stamford Hospital's Integrative Cardiology program is profiled here. The Fox News affiliate in Idaho reported that the hospitals in the St. Luke's network are studying the value of integrative therapies. The Cleveland Clinic kicked off advertising for the 10th Annual Dr. Roizan's Preventive and Integrative Medicine Conference to be held in December 2012. Duke's new round of Integrative Health Coach Professional Training will focus on group coaching. "I've had the three previous CME applications that covered the topic of yoga approved by the American Academy of Family Physicians. They didn't previously approve non-medically trained presenters. Last year they specifically wrote that the approval was for 'presenting the evidence that yoga is effective, but not approved to teach the practice itself.' This year I included non-medically trained yoga teachers/therapists, and I included specific wording in the needs assessment/statement of purpose, and the course objectives, that participants would be learning yoga tools and breathing techniques for wellness and stress reduction." These are the words of integrative clinician and Satkirin Khalsa, MD, the director of Albuquerque Integrated HealthMedicine. She wrote them to Integrator adviser and integrative center consultant Glenn Sabin, of Fon Therapeutics about her course at the Mountain Pose Medicine and Yoga Festival. Khalsa credits the program of Dean Ornish, MD and particularly its Medicare coverage, for the CME credit approval: "I know of no other CME course that's been accredited by a national organization like the AAFP, approving yoga teachers to teach for CME. Based on the Ornish program, and the stress reduction/yoga 'pillar' that is now approved by Medicare. Physician wellness CME courses are a new concept." Khalsa submitted these as CME programs for Provider Wellness. Sabin's blog post on the topic is here. Comment: First, good for Khalsa, good for health, and thanks Glenn. The emergent provider wellness theme recalled to mind a self-care point colleagues in the Academic Consortium for Complementary and Alternative Health Care recently made. Reviewing some widely referenced competencies for interprofessional care developed by medical doctors, nurses, pharmacists and others from within the biomedical model, they saw self-care missing. To a competency field related to "Values and Ethics," these integrative health educators added this simple line: "VE11. Demonstrate personal behaviors and self-care practices that reflect optimal health and wellness." There is little question that providing CME credit for yoga, as for other processes for healers to heal their selves, is a quiet step in the right direction toward righting our system. Fine perseverance from Khalsa. The director of the NIH National Center for Complementary and Alternative Medicine, Josephine Briggs, MD, recently used the NCCAM blog to talk out "Quirky Ideas from outside the Mainstream" that, "through a combination of clinical experience and scientific pursuit, led to changes in health care." She specifically called out the contributions of Joseph Pilates (resistance training - 1915), Fernand Lamaze (childbirth practices -1940), Edwina Froehlich, La Leche League founder (breast feeding -1950s), and Saunders, Wald, Kubler-Ross, 1960s (palliative care). Briggs cites a defensive remark about exploring the unusual in a keynote from David Eisenberg, MD at the recent International Research Congress on Complementary and Integrative Medicine: "An act of inquiry is not an act of advocacy." She concludes: "Ultimately, being able to bring both an open mind and a skeptical eye to the long-term challenge of evidence building is crucial, and we must be willing to do so, no matter what perspective we bring to the scientific debate." Comment: Good for Briggs to walk into this debate and remind skeptics. Interestingly, this was something of a return to the memory of 1992 beginnings of the NIH's formal examination of "unconventional medicine." US Senator Tom Harkin secured funding by referencing non-conventional practices that had become mainstream. None that he referenced were actually CAM, to not tip off CAM's opponents. Briggs' is an interesting list that might have been expanded more broadly. Stress, food, diet, and lifestyle are all practices first elevated in the "alternative medicine" universe. So is appreciation of the detrimental impacts of toxins. Just as small businesses are credited with generating the lion's share of innovation in businesses of all kinds, so the wild practices around the fringe of mainstream medicine have produced many of the most significant clinical changes respectful of the determinants of health. What's ‘quirky,' frankly, is that mainstream medicine is taking so long to address such common sense about health, and that mainstream medical education continues to devalue education about nutrition and stress. Downright weird, if one only let's go of our acceptance of the insanity of the familiar. Still, good for Briggs to defend the sometimes fecundity at the fringes. The Canadian research network IN-CAM has announced seven new tools in its remarkable contribution to integrative health research, the Outcomes Database (see www.outcomesdatabase.org ). Comment: Integrative health and medicine and "CAM" discipline researchers would serve their fields to be talking up this remarkable resource. It's a great site for bringing research closer to home and fostering in-office projects. Bushnell: a better fit than anticipated? A medical doctor and NIH-funded research leader in integrative medicine took umbrage with questions raised in the July 2012 Integrator Round-up about the fit of M. Catherine Bushnell, PhD for her new role as integrative pain research leader at NCCAM. The investigator wrote: "You really did not get this one right!!" Following the double exclamation, the researcher wrote of meeting Bushnell at a conference on acupuncture developed by the Department of Defense. Bushnell had been invited "to talk about potential neurological mechanisms for acupuncture modulation of pain." Then: "She is a neuroscientist - not a practitioner - but if you listen to her presentations or talk to her or dig a bit more deeply into her published work you will see it is imbued with a strong interest in the fundamental mechanisms by which a variety of complementary treatments influence pain." Some examples were offered: "Bushnell has studied hypnosis and written on studies using hypnosis as a means to modulate pain. She also studies the differences between emotion and attention as modulators of pain." The corrective complaint continued with a note that Bushnell's studies in her lab at McGill "to examine pain perception in yoga practitioners" were presented in the Milan 14th World Conference on Pain. The writer noted Bushnell is approachable: "Yes, she has strong 'mainstream' credentials. But no she is not a 'conventional' thinker in any way." Comment: The passionate defense of Bushnell does not address the fundamental point made in my comment on the Bushnell appointment. This apparently brilliant and independently-minded researcher has not focused her life work where Congress mandated when they created NCCAM: less on mechanism and more on generative useful information on real world outcomes. In Bushnell's domain, this would be integrative pain strategies that will be useful in helping providers, health systems, insurers and employers to know about the value of optimal delivery. (See the NCCAM mandate here, and especially sections c and f.) What is needed is more about the success of integrative pain strategies on patient care, satisfaction, functionality, costs together with research on the interprofessional challenges of integration and economic challenges of payment. That said, I appreciate the heads up and will be contacting, and reporting, a dialogue with Bushnell. I must also confess that I may be asking the impossible of Briggs and NCCAM. Where does one find the right pain researcher who has clinical experience in integrative medicine or integrative pain? We are short of skilled, experienced experts with a funded lifetime devoted to the ins-and-outs of integrative health research. Where will Bushnell direct things? Hopefully reading the NCCAM mandate is part of Bushnell's orientation. Meantime, NCCAM sponsored an apparently real-world seminar August 13-14, 2012 to develop a "forward thinking research agenda" on chronically overlapping pain conditions. Kory Ward-Cook, PhD, MT (ASCP), CAE, the CEO of the National Certification Commission for Acupuncture and Oriental Medicine sends notice that leaders in the acupuncture and Oriental medicine (AOM) profession "joined forces" to host an exhibit booth at the American Presidential Experience Marketplace as part of the Democratic National Convention (DNC) in Charlotte, North Carolina. Their goal is to "promote the availability of acupuncture services for all Americans." One focus was on the assembled media. The booth "offer(ed) AOM information and demonstrations to illustrate the efficacy and necessity of acupuncture treatment to alleviate a variety of ailments." Other participating organizations were the American Association for Acupuncture and Oriental Medicine (AAAOM) and malpractice insurance carried ACC. A release from the group noted that they viewed this DNC format as "the perfect venue to educate the American public on the benefits of AOM services, while informing them how to find certified and state licensed practitioners who provide better care, better treatment, and better outcomes." Naturopathic oncologist and cancer survivor Lise Alschuler, ND, FABNO and long-time natural health publisher Karolyn Gazella are producing a nightly, internet-based show on "health promotion in the face of cancer," according to notes in a recently weekly update from the two. A September 2012 show list includes: past Integrator contributor Bill Benda, MD on pet therapy; Vancouver, Canada-based Gaetano Morello, ND on "gentle detoxification;" and University of Florida professor Heather Hausenblas, PhD, on the "healing benefits of polyphenols and antioxidants, with a special focus on cocoa and resveratrol." Then Alschuler and Gazella close the week, as they do every week, with a Friday "Research Review Day." The show airs on 8 ET, 5 PT on w4cs.com. They launched the show after publication of a prior collaboration, Five to Thrive: Your Cutting Edge Cancer Prevention Plan. Comment: Alschuler is one of the most compelling of integrative medicine speakers, Gazella among the most veteran of natural health publishers. Their collaboration, since the influential and widely-respected Definitive Guide to Cancer: An Integrative Approach to Prevention, Treatment and Healing, has been remarkable. Together they also indirectly collaborated to produce the Natural Medicine Journal, the official journal of the American Association of Naturopathic Physicians' (AANP), a Gazella-led publication launched when Alschuler was in AANP's executive leadership. Dan Redwood, DC, the writer of Health Insights Today and a professor at Cleveland Chiropractic College is among those interviewed for a new documentary produced by Jeff Hays on the medical industrial complex. 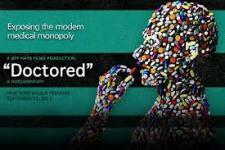 The documentary is entitled "Doctored: Exposing the Medical Monopoly." The premier will be in New York City September 21, 2012. According to the movie's website, the story will present stories of patients and practitioners "against the backdrop of Big Money medicine." They write: "From failed back surgery nightmares, to cancer, to GMO foods, autism, the vaccine debate and the tragedy of trading health for dollars, the whole system has been 'doctored'. Doctored shines a bright light down previously darkened ally ways of big money medicine." The documentary begins with the door-opening anti-trust legal battle from the 1980s, Wilk vs. the AMA and, according to the makers, "ends with both a hopeful message of great advances in integration and a dire warning of letting Big Money own our health." The movie's release is being supported by numerous individual chiropractors. Says Redwood: "This is the first documentary on this topic that has the capability of going mainstream." 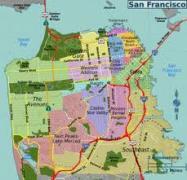 A perspective on the cities in the U.S. that are best for "alternative medicine" was published as "10 Cities with the Best Alternative Medicine." Those selected are, in order: San Francisco, Denver, Seattle, Phoenix, Chicago, New York, San Diego, Los Angeles, Fort Lauderdale and Baltimore. Brief paragraphs offer the rationale for each. Long-time integrative medicine media executive Rob Lutz has a new product: Modern Healthcare Professional. The new resource is presented as an online service "designed for medical professionals interested in researching and applying evidence-based integrative treatment options in their practice." The publication has content partnerships with Innovision Communications (for which I write a column in Integrative Medicine: A Clinician's Journal) and Holistic Primary Care, among others. Lutz has held senior positions at Innovision Health, Penton Media, Integrative Medicine Communications and Virgo Publishing. Comment: The name of the publication moves dangerously close to that of a leading, mainstream publication, Modern Healthcare. That was certainly an intentional placement of integrative medicine in the heart of the mainstream. I received an update on new publications from Joe Pizzorno, ND, current CEO of Salugenesis, founding president of Bastyr University and influential and widely-read pioneering author on scientific natural medicine. Via his nearly 30-year collaboration with Michael Murray, ND, Pizzorno rolled out the 3rd edition of the Encyclopedia of Natural Medicine in July 2012. The book has sold over 1-million copies and has been published in 6 languages. The original Textbook of Natural Medicine, launched in 1985 (which later birthed the more consumer focused Encyclopedia) will have its 4th edition published this month. That volume has hit a 60,000 count worldwide. In October 2012, Pizzorno will see published Clinical Pathophysiology. He writes: "I am really excited by my newest book and hope it becomes a core textbook for all natural/integrative/functional medicine educational programs. You may recall my book Total Wellness. This is Total Wellness on steroids for doctors. It fits into the space between normal physiology and pathology-the place where our medicine lives." San Diego-based artist and philanthropist Ruth Westreich has been elected to the boards of both the Virginia-based Samueli Institute and Kenmore, Washington-based Bastyr University. 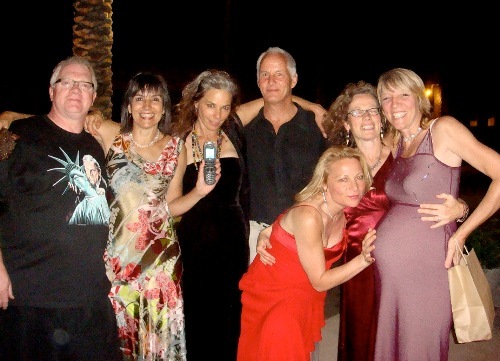 Westreich is among the only members of the Bravewell Collaborative of philanthropists to also see the value in investing her time and energy significantly in integrative health projects that are not directed by medical doctors or nurses - such as Bastyr. She is also a leader in promoting integrative palliative care, particularly through San Diego Hospice and the Institute of Palliative Medicine. Westreich also serves on the Council of Advisers of the Academic Consortium for Complementary and Alternative Health Care. Bastyr, notably, is opening a San Diego campus on September 14, 2012. Westreich was the subject of an Integrator article entitled What We Want Will Take a Huge Effort:Interview with Integrative Med Philanthropist Ruth Westreich. The American Association of Naturopathic Physicians announced its annual awards at the banquet of its 2012 annual conference and exhibition. Efrain Rodriquez Malave, ND was honored as Physician of the Year for his leadership of the profession in Puerto Rico; Mitchell Bebel-Stargrove, ND, LAc, the visionary author or lead on numerous breakthrough data bases and texts, including Herb, Drug and Nutrient Interactions, with the Vis Award that honors one whose work captures the Vis Medicatrix Naturae at the heart of naturopathic philosophy; Healthpoint community health clinician Cindy Breed, ND and colleague David Harrison with the research award for her work in a community clinic on naturopathic medicine for depression and anxiety; Southwest College of Naturopathic Medicine faulty member Mona Morstein, ND, with the President's Award (from Michael Cronin, ND), for her work as moderator of the profession's robust discussion forum, Nat Chat; Pure Encapsulations was given Corporation of the Year; and Integrator publisher-editor John Weeks was honored as a Champion of Naturopathic Medicine.